We all love our little Chihuahuas and because we believe our dog is so wonderful, we often think that there should be more of them. When deciding whether or not to breed, remember that the puppies may not be like your Chi at all. Genetics and bloodline have a lot to do with how the puppies turn out, and you may end up with a few surprises in temperament and looks. Talk to your veterinarian to see if your little girl is a good candidate for breeding. Many Chis are too small to whelp safely and it is best not to attempt it. Dogs can, and do, die during whelping and small breeds have a particularly tough time. Also consider the overall health of your female Chi. Does she have dental bite issues, knee problems or any other health issues that shouldn’t be passed on to a litter of puppies? Whether breeding short or long haired Chihuahuas, bringing a litter into the world with nagging health issues is irresponsible. If you have decided to go ahead with breeding and your female is now pregnant, take extra care with her nutrition. 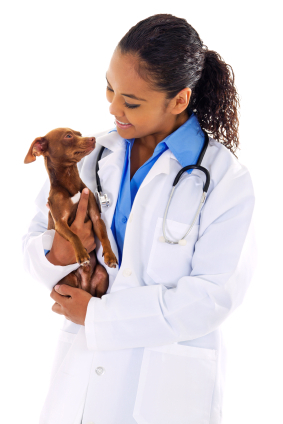 Feed good quality food and discuss supplements with your veterinarian. Vets can often confirm pregnancy about 28 days after breeding with abdominal palpation. Later on in the pregnancy, x-rays can be taken to find out home many puppies your female Chi is carrying. This can help when whelping time comes. Normal gestation for a dog is sixty three days, but because of their small size many Chihuahuas go into labour two to three days early. When it gets close to the delivery time, make sure you have someone with your girl at all times. Small breeds like Chis should not be left alone to deliver their puppies as complications can arise. If you haven’t left your girl alone, then you will be ready when she begins to whelp. She may pant, lick herself and assume a prone position in preparation for giving birth. Some dogs refuse food, vomit and become restless during early stages of whelping. Try to keep your girl comfortable in a warm location and monitor her progress. If your girl has been straining to deliver for two hours or more and has not produced a puppy it’s time to go to the vet. The puppy may be breech (coming out feet first) or is too large for your dog to deliver naturally. Chi litters usually range from one to three pups and the fewer the puppies the larger they are. 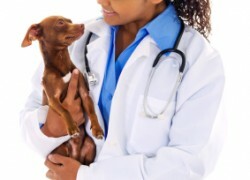 If your veterinarian decides that your Chi needs to deliver her litter by caesarean section then be prepared for them to use a general anaesthetic for the procedure. The veterinarian staff will care for the puppies and stimulate them just like their mother would until she comes out of the sedation. The pups and mother are then reunited immediately. 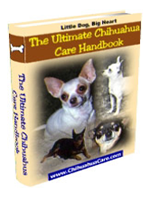 Cost is a major consideration when deciding to breed your Chihuahua. If surgery is necessary to deliver the litter it can be expensive so make sure you set aside enough money. Also most breeders have the puppies vet checked and vaccinated at 6-8 weeks before being sold. If there are any health concerns with the puppies you will be responsible for those vet bills as well. 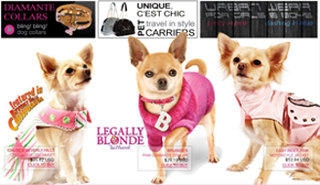 Many Chi owners are thrilled with their little dog and love to dress them up, buy fancy Chihuahua collars and do everything they can for them. Dog parks, following up on Chihuahua training tips, and arranging doggy play dates are all fun. These things are all expensive, but pale in comparison to the cost of whelping should your dog need veterinary assistance. 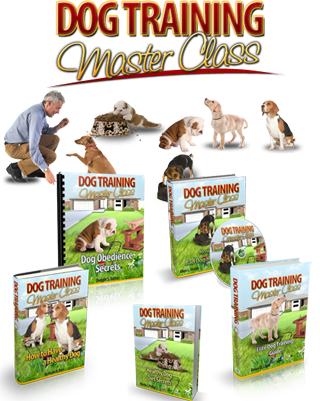 Before deciding to breed your Chi, find out all the possible costs and see if it is something that you can afford. Breeding should not be a whim, but an informed, educated decision.